Welcome to A Sampling Bee! Today, I share with you a lovely book about Friendships. 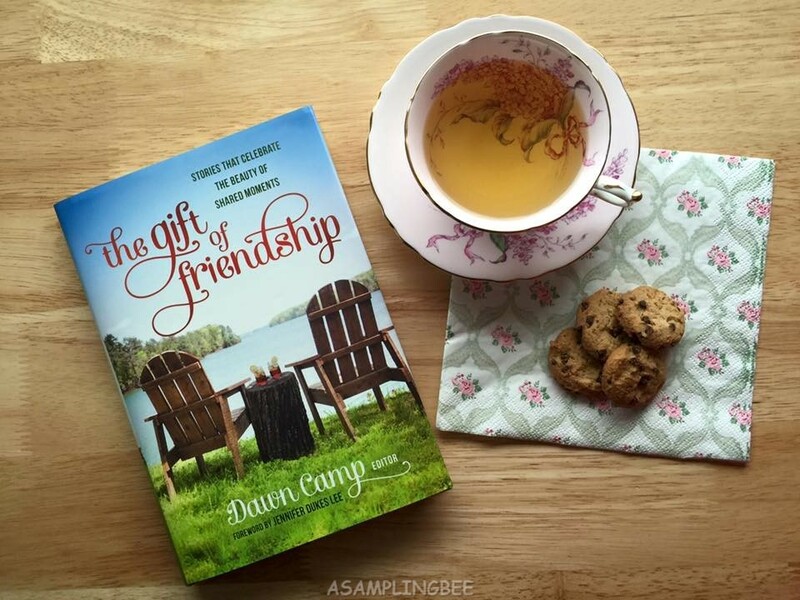 The Gift of Friendship is a book all about why we need friends in our lives. Whether it be for 5 minutes or for a lifetime. Friendship is so very important and the Author, Dawn Jacobs Camp shows us why. Dawn has collected over 50 true stories from some of today's best writers. Contributors include Crystal Paine, Liz Curtis Higgs, Tsh Oxenreider, Myquillyn Smith, Jennifer Dukes Lee, Lisa-Jo Baker, Jessica Turner, Lysa TerKeurst, Bonnie Gray, Holley Gerth, Renee Swope, and many more. I really enjoyed reading this book. Each story had me wanting to read more. Each story is short and can be read in under five minutes. I finished the book within a week and I am hoping that Dawn comes out with a second! The photography in the book I beautiful and I love how there are a lot of quotes throughout the book. 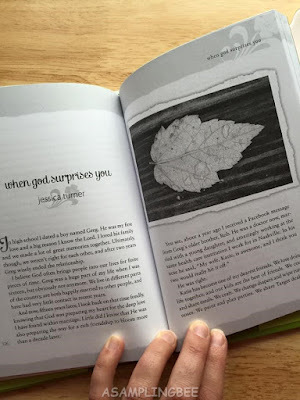 This book is wonderfully put together and it is so inspiring and uplifting. Cherish the time that you spend with your friends. :) I recommend this book! 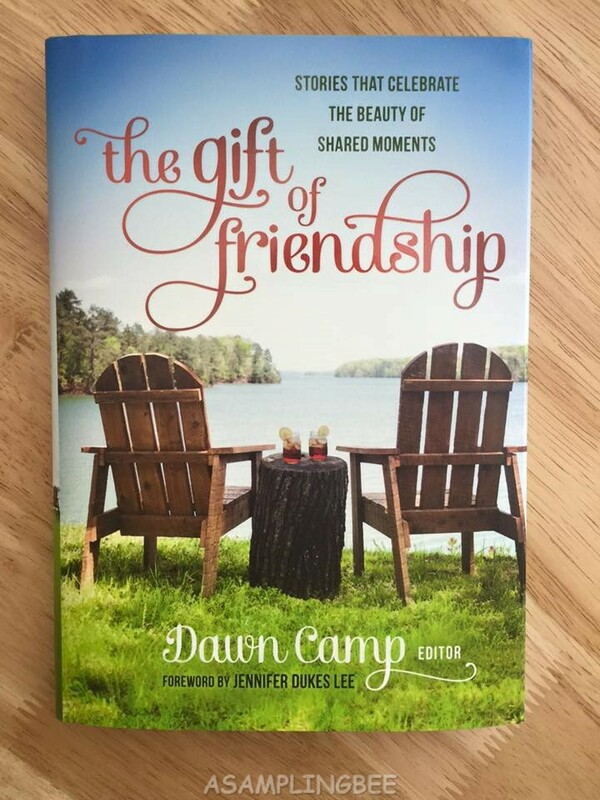 Dawn's Book is available on Amazon. That sounds like a lovely book. I would love to read this! I love book compilations, they are so entertaining and you don't have to read each story for too long, especially when you don't have a lot of time in your hands. So glad you enjoyed reading this, thank you for the review and the insight! This sounds like a book from the heart. I think it would make a great gift for my best friend of over 30 years. This sounds like a book you could learn something new from each day. It's the kind of book you keep coming back to. I love any book that will warm the heart. I am one of those people that doesn't need a lot of friends, but the friends I have I cherish. This book sounds like something I would love. This books sounds like a very warmly meaningful about condition of friendship are" I think, this is the one best gift those who had a BFF" best friends Forever". I love books like this that are a compilation of stories. With my hectic schedule I need a book that I can pick up from time to time without forgetting what it is happening. I will have to check this out. I will have to read this book! Looks like a great read as well as a gift for friends for birthdays, friendship day or Christmas. Oooo this sounds like a fantastic read!!! I'm in need of some new reading material so I will definitely check it out! The book looks and sounds great, I'll have to have cheek it out more and have my mom read it. Great book for sure. Love to have a week or so for me to finish this.